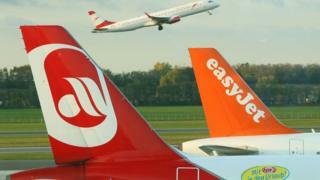 EasyJet has confirmed a €40m (£35m) deal with Air Berlin to buy part of the insolvent German airline’s operations, in a move that will secure 1,000 jobs. EasyJet will buy some of the company’s assets at Berlin Tegel Airport, including landing slots as well as leases for up to 25 A320 aircraft. Quiz: Are you a monetary maestro?